The Qatar-Singapore Economic Forum, jointly organised by the Qatar Chamber of Commerce & Industry and the Singapore Business Federation, was held in conjunction with H.H Sheikh Tamim bin Hamad Al-Thani, Qatari Emir’s official visit to Singapore on 17 October 2017. The event marked an important milestone in economic, investment and trade cooperation between the two countries. Meinhardt Group Chief Executive Officer, Omar Shahzad moderated a panel discussion on “Qatar: Challenges, Opportunities for Joint Projects, Investment and Tourism”. 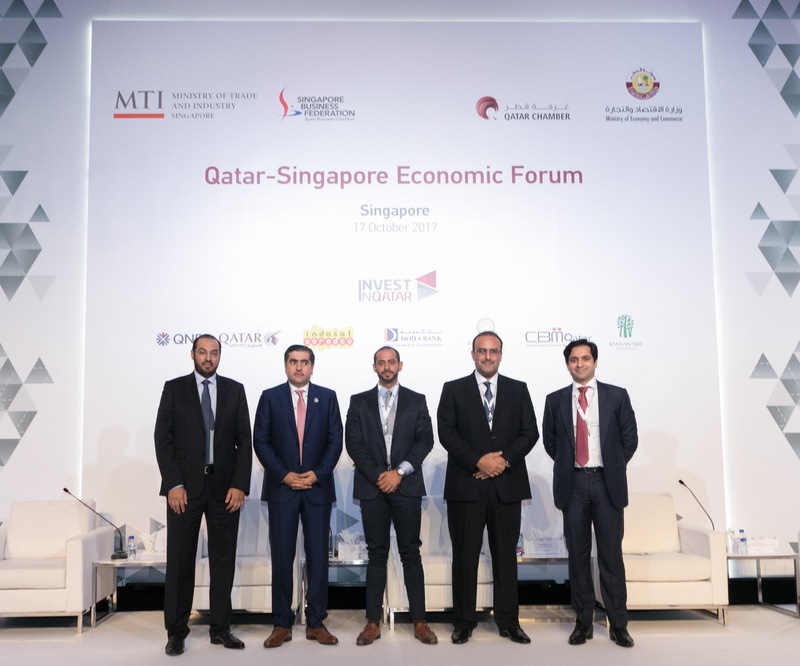 During the forum, the Ministry of Economy and Commerce highlighted the advantages of investing in Qatar and how Singapore’s private sector can benefit from the incentives for foreign investor provided by the state. The panel was kicked off by Singapore’s Minister of Trade & Industry, S Iswaran, Qatari’s Minister of Economy & Commerce, H.E Sheikh Ahmed bin Jassim bin Mohammed Al-Thani and Singapore Business Federation’s Chairman, Mr S.S. Teo. Participants also discussed the importance of developing long-term economic cooperation mechanisms, enabling Qatari companies to draw lessons from the success of their Singaporean counterparts. The forum was attended by 250 C-suite and management personnel from Singapore companies.